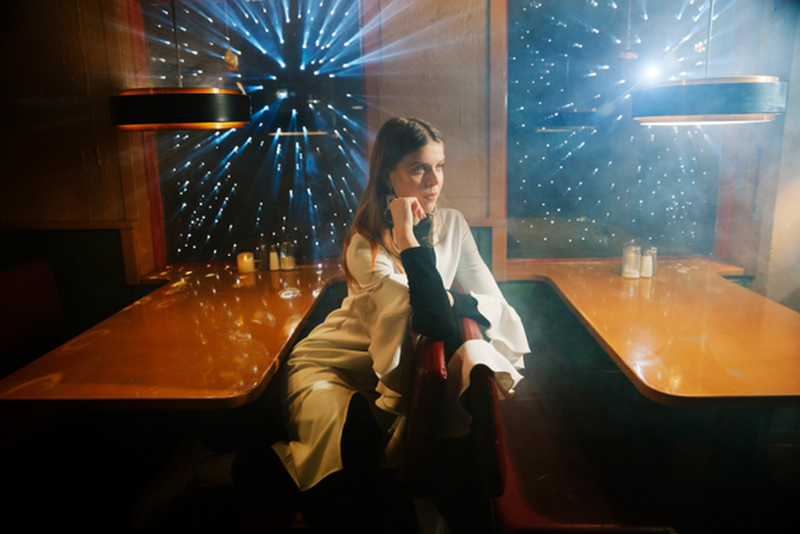 Born into a musical family, Jófríður Ákadóttir has been involved in music nearly her entire life and already has a career that is nearly a decade old. Although she started out studying classical clarinet — the same instrument her mother plays — Jófríður is today better known for her delicate, ethereal voice and expressive musical style. Starting at age 14, Jófríður formed the indie band Pascal Pinon with twin sister Ásthildur. In true DIY fashion, Pascal Pinon’s self-titled debut was recorded in a makeshift recording booth in their aunt’s house, self-produced and mixed by their father, trumpeter and composer Áki Ásgeirsson. The young Jófríður’s musical career began, with Ásthildur, going into record shops and signing deals at 15, encouraged by their father to go their own way instead of letting others release the album for them. The famously matcha-obsessed Jófríður has been since involved in a myriad of musical projects with several Icelandic musicians. Among the many are the bands Gangly, alongside Sin Fang, and Samaris which won 2011’s Músíktilraunir (Icelandic Music Experiments) competition. Heavily prolific, JFDR frequently appears as a featured vocalist on a number of fellow Icelandic artists, including Birnir, Sin Fang and Örvar Smárason. 2017 saw the release of her debut solo album under the project title JFDR. Brazil was met with favourable reviews; notably, Björk has named JFDR as a musical inspiration. Currently signed to New York label figureight, JFDR splits her time in between New York and Reykjavík.